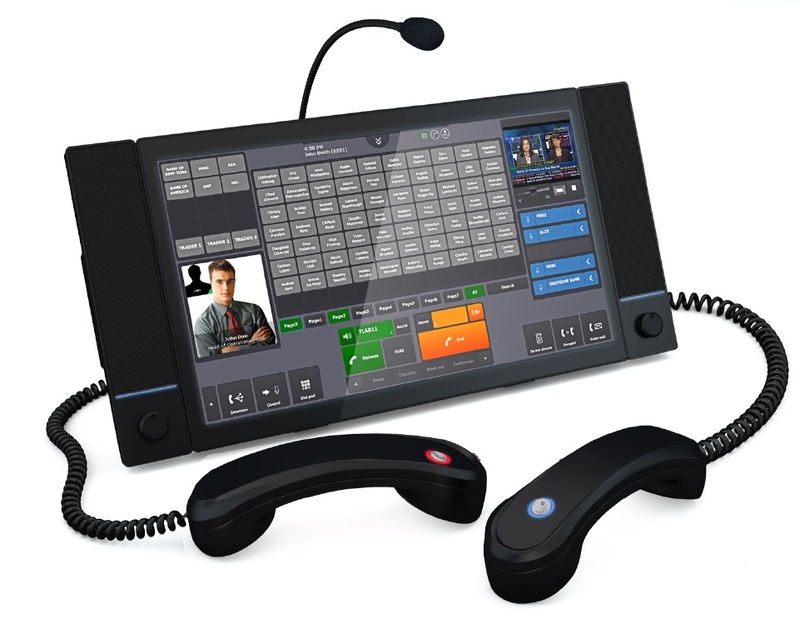 The IP Trade T4 is the turret that revolutionizes the integration between the trading room and all other environments of unified communications and also matches the styling and ease of use of the most advanced tablets in the market. IP Trade’s new turret offers a minimal foot print whilst maintaining a 15” screen. Its modern compact design integrates 2 traders’ proof loudspeakers, a microphone and two handsets. 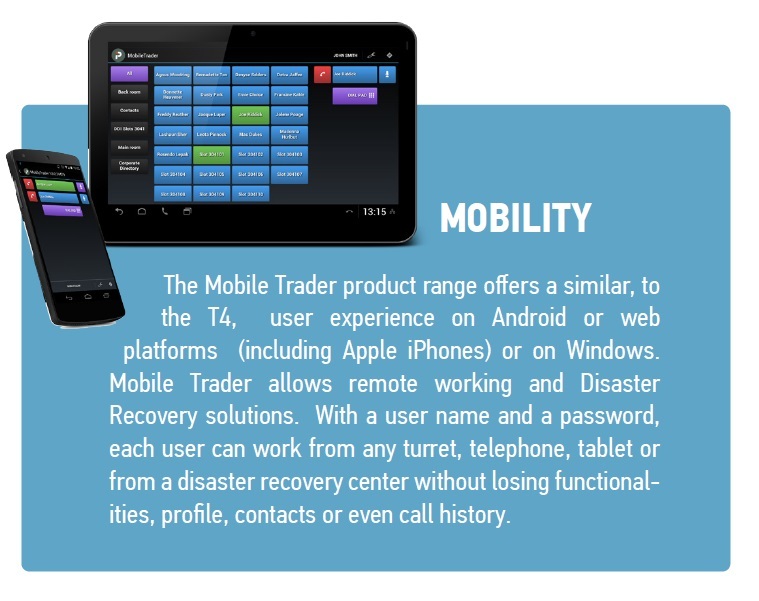 The IP Trade T4 will blend with the other screens of the user. A solid, rugged, yet modern design, provides both durability and stability. The T4 is adjustable to allow 4 viewing angles. The latest touchscreen technology ensures that the T4 is both a true turret as well as a multi-application tablet. The IP Trade applications such as videoconferencing, web apps or custom apps, click to dial, unified contacts, multi directory access etc. are even simpler to use thanks to zooming and sliding screen features. Linx-Networks is a IP Trade Gold Partner meaning we are experts in deploying IP Trade solution’s and IP Trade’s T4 next generation turrets to any trading floor. IP Trade has an open architecture and standard application programming interface (API) enabling the solution to interoperate with media recording platforms. 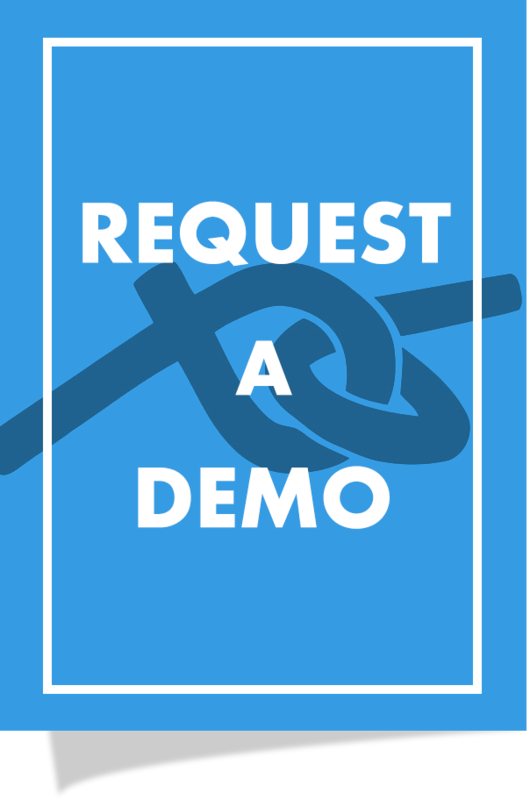 The company has an interoperability testing and certification program available to any IP media recording vendor (please check with a sales representative for current models and versions supported). Get in touch with more than 10.000 professional contacts with the enterprise directory at your fingertips. Communicate with other financial institutions, clients, colleagues or partners seamlessly via private wire, hoots, landline, mobile connections and in all trader communities. The perfect integration of the IP Trade solutions within unified communications networks, eliminates barriers and provides traders with the unique functions they require. The T4 is an integrated turret, based on the IP Trade voice architecture and dedicated components for the highest quality and performance. It combines a classical but very flexible Intel architecture with Windows 7 embedded for integrating applications. 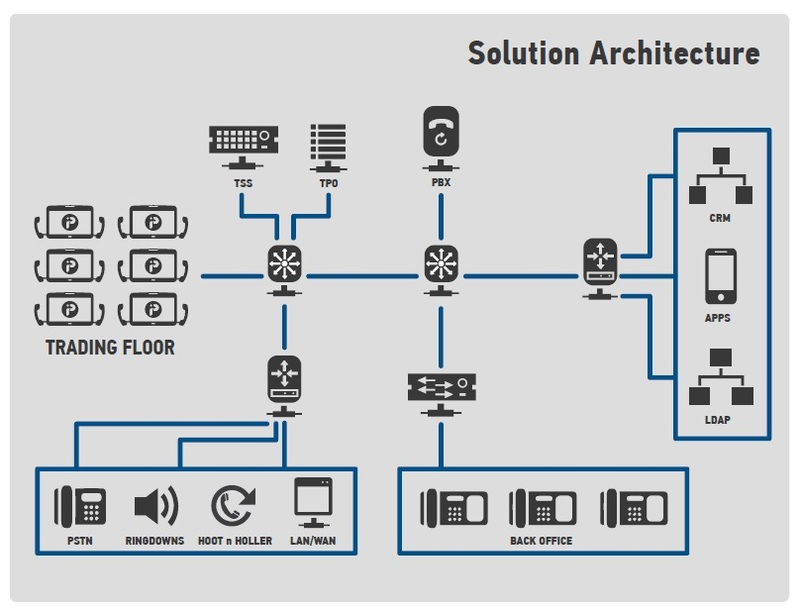 Each T4 turret is connected to the IP Trade soﬅware-defined media processing application called the Turret Proxy Openline (TPO) and to the PBX. The TPO can be installed on a virtual server with redundancy configurations that guarantee connectivity. 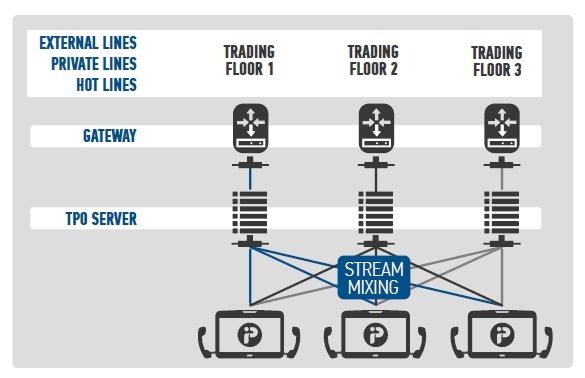 The TPO acts as a standard unified communication network extension by using SIP (Session Initialization Protocol) for connection and provides advanced « trader » functions. The IP Trade TSS is a rich web-based management and database application that enables system configuration and management while acting as a central repository for user profiles, enabling secure user authentication and storing system data. 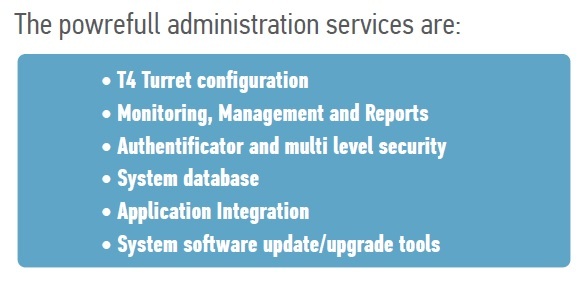 The TSS is also a gateway to other enterprise information systems and applications that may be integrated into the trading floor environment.